A few of the team were away for our March hack day, but that didn’t stop us from hacking together some amazing new features, and even shipping new stuff for our customers. As always, we amazed ourselves at what’s possible in a day of focused hacking. On numerous occassions many of us have wanted to find a particular conversation we have at some point had with a customer in Inbox. 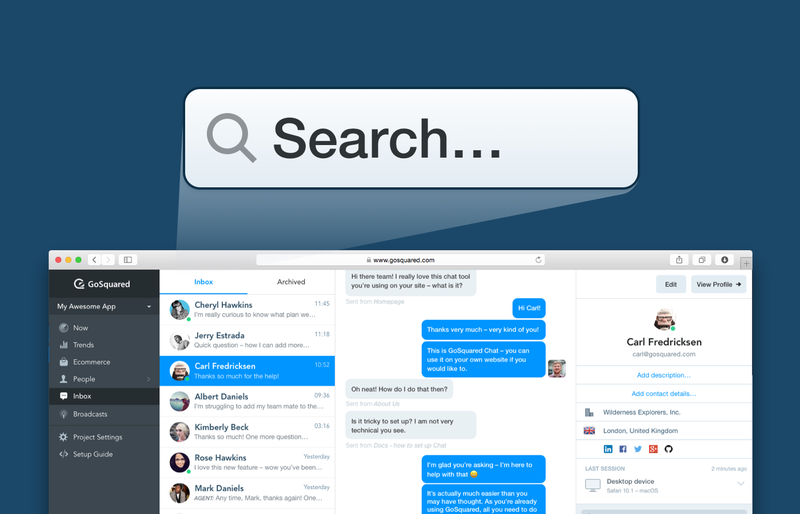 Without search functionality in Inbox this isn’t easy to do, so Geoff had a go at adding it. The goal of the hack was to add a search box to the conversations list to find any conversations with messages or customers matching the query. The search APIs are implemented and functional, and ready to serve data once the frontend is finished. We hope to use this as an internal experiment next week, laying groundwork for even more search features such as jumping back to a particular position in the chat history from messages matching your search. JT and Leo spent last Tuesday learning about all things React at React London. After thoroughly taking in all the Kool-Aid from Max Stoiber’s talk about styled-components, JT spent the morning playing around with styled-components for our React front-end applications. Work is still in progress, but it’s looking promising, so we hope to be using styled-components in production sometime soon. Smart Group triggers are an extremely powerful way to use GoSquared People to drive automation in your business. Currently, we support either sending a notification via Slack, post a Webhook, or drive campaigns in Drip whenever a person enters or exits a Smart Group. However, something we’ve wanted to do for a long time is to use Smart Group triggers to drive email sending directly from GoSquared. We’re going to be testing this internally for a while, but hopefully we’ll be developing this into a full-fledged feature of the GoSquared platform very soon! In addition to his other hacks, JT also added a minor, but extremely useful, feature into People. 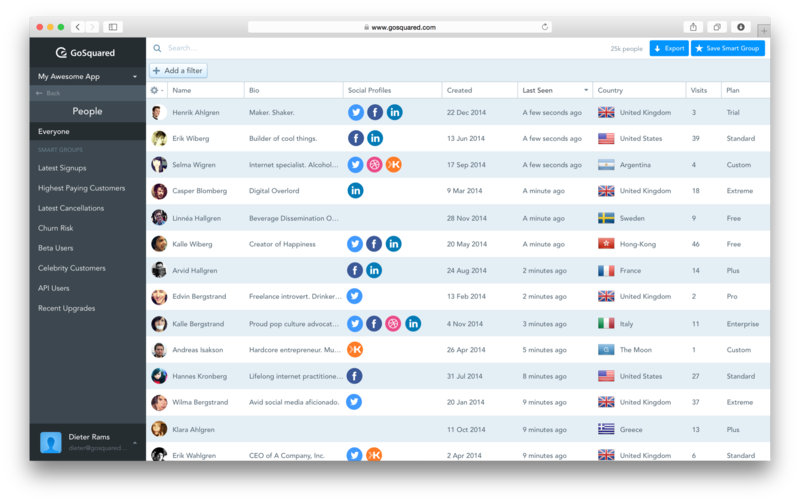 Now, when you construct a filter for your list of profiles, the corresponding columns will automatically be added. So, for example, if you want to find your high-paying customers, then you can filter by “Monthly Revenue is greater than $100”, and the column for Monthly Revenue will automatically show, allowing you to see the exact Monthly Revenue value for every profile in the list.